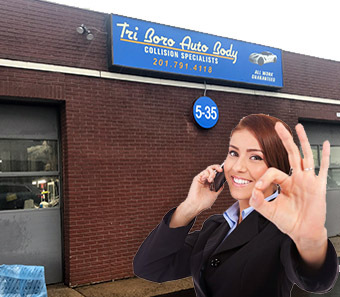 Does Tri-Boro Auto Body only repair damaged cars? Tri-Boro Auto Body specializes in collision repair, but also repairs light duty trucks as well as most other automobiles. Would I be able to rent a car through your company? Yes, we work closely with local rental car agencies so that your daily routine is not affected while your car is repaired. How large is your auto body repair facility? Tri-Boro Auto Body's facility includes 15 full sized repair bays, 2 heated spay-paint rooms and car alignment machines. Do you offer any auto body service discounts? Yes we do, all first time customers receive a discount on our auto body work. Please contact us for pricing details and a free estimate. Will you work with my auto insurance company to cover the auto body repair costs? Yes, whenever possible, we work closely with all insurance companies to help cover the costs of automotive damage on behalf of our clients. Can you deliver the car to my house after the repairs are completed? Yes, we are able to schedule a drop off appointment that suits your schedule.